In a bid to reach two billion people worldwide who are still without bank accounts, Prime Minister Modi launched the APIX (Application Programming Interface Exchange), a banking technology platform in Singapore Wednesday. The technology platform was launched by Modi along with Deputy Prime Minister of Singapore T Shanmugaratnam after he became the first leader to address the esteemed Fintech Festival in the country. “We must bring the unbanked 1.7 billion people in the world into the formal financial market. 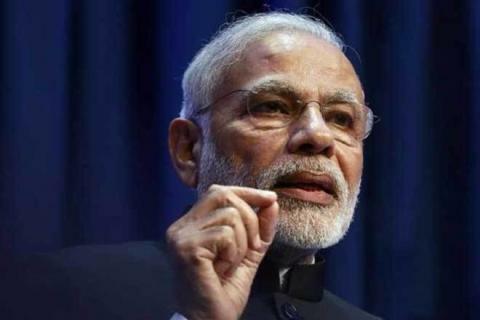 We must extend the security of insurance and pension to more than a billion workers in the informal sectors worldwide, who still do not have it,” PTI reported citing Prime Minister Modi. APIX is a banking technology platform which is designed to reach two billion people all across the world who are still living without bank accounts. The technology platform has been designed by software experts based out of Hyderabad, Colombo and London. It is a sophisticated technology developed by Boston-headquartered Virtusa, especially for smaller banks, Tier 3 and 4, to reach out to people living in the remote regions. The technology platform is designed to assist banking institutions to reach out the people without bank accounts in 23 nations such as 10 ASEAN members as well as major markets such as India, and small nations including Fiji, said Nikhil Menon, PTI reported citing Virtusa’s senior vice president and Asia regional head.